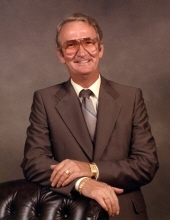 Mr. Robert "Bobby" Walker, 84, of Hampton, KY, passed away Monday, November 19, 2018 at Livingston Hospital and Health Care Services in Salem. Mr. Walker was a retired self-employed painter and a minister. He is survived by five children, Greg (Jenny) Day of Charlotte, NC, Dwayne (Peri) Walker of Burna, KY, David (Cindy) Walker of Smithland, KY, Fleshia (Mike) Birk of Hampton, KY, and Valerie Walker of Hampton, KY; sisters, Phyllis Larned of FL and Sharon Sherwood of OH; brothers, Donnie Walker of FL, Roger Walker of OH; and Jimmy Walker of IN; 10 grandchildren; 21 great grandchildren; and one great, great grandchild. He was preceded in death by his wife Alice (Clark) Walker; sister, Faye Hughes; brother, Ireland Walker; granddaughter, Jessica Cummings; and parents, Roy and Susie (Hoffman) Walker. Funeral services will be 1 PM, Saturday, November 24, 2018, at Boyd Funeral Directors and Cremation Services. Burial will follow at Hampton Cemetery. Friends may call from 10 AM until the funeral hour on Saturday, November 24, 2018, in the chapel of Boyd Funeral Directors and Cremation Services in Salem.